His song Rag Storm, a collaboration with rapso group 3canal, is being touted as the ultimate fete and road jam and is already an early Road March contender. The song exudes a pulsating appeal that’s typically SuperBlue – but with a twist which, the soca icon said, only his diehard fans might be able to discern. While some may regard it as a piece of cloth, SuperBlue believes the rag has long been synonymous with TT Carnival. However, he feels it has never truly received its just due in the festival, until now. 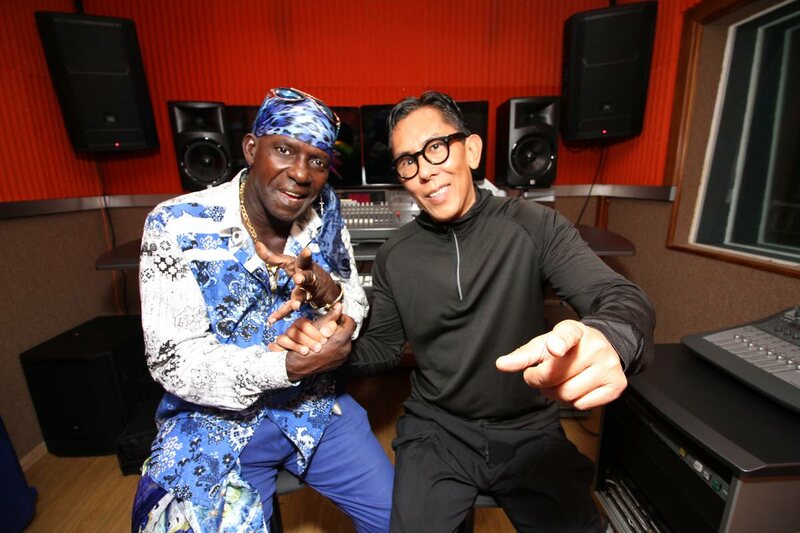 “Rags are very important things in the Carnival,” he said in an interview on Wednesday at Ojo World Headquarters, Tragerete Road, Port of Spain, where he had completed an intense rehearsal session with the song’s executive producer Tony Chow Lin On, aka Chinese Laundry. “In the fetes now, you get a thing with a light. But when I climb up a (speaker) box, the rags are for everything. It is convenient. You could eat something and wipe yuh hand. If yuh sweat, you could wipe your face and stick it in yuh waist. It also comes in different colours and are very cheap. 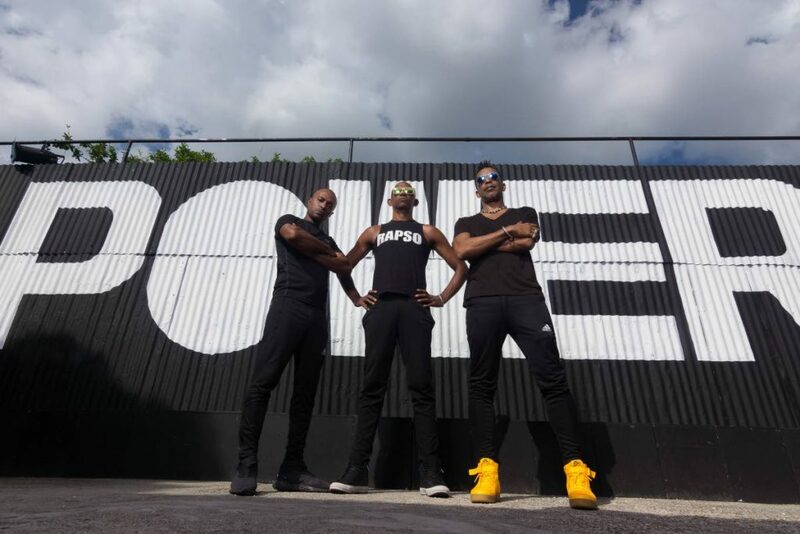 Ten-time Road March champion, as well as a seven-time winner of the International Soca Monarch crown, SuperBlue said Rag Storm represents a slightly modified version of his signature persona. “It is about atmosphere. It is a different time, attitude. So some things had to change. The breeze that once passed, it eh bound to pass this way again. It might be different, but is the same signature. 3canal's Stanton Kewley, Roger Roberts and Wendell Manwarren are the vocal anchors of SuperBlue's Rag Storm. Chow Lin On said it was a credit to SuperBlue’s genius as an artiste that he can still make a valuable contribution to Carnival after decades in the cultural landscape. Chow Lin On, who worked alongside SuperBlue and Machel Montano on last year’s Road March winner, Soca Kingdom, said he was excited to again work with the a legend on Rag Storm. Chow Lin On, who said working with SuperBlue was one of his childhood dreams, said Stadic, Nique Pro and Maha Productions were also involved in the project. 3canal singer Wendell Manwarren said although it was early in the Carnival season, Rag Storm had the potential to go the distance. 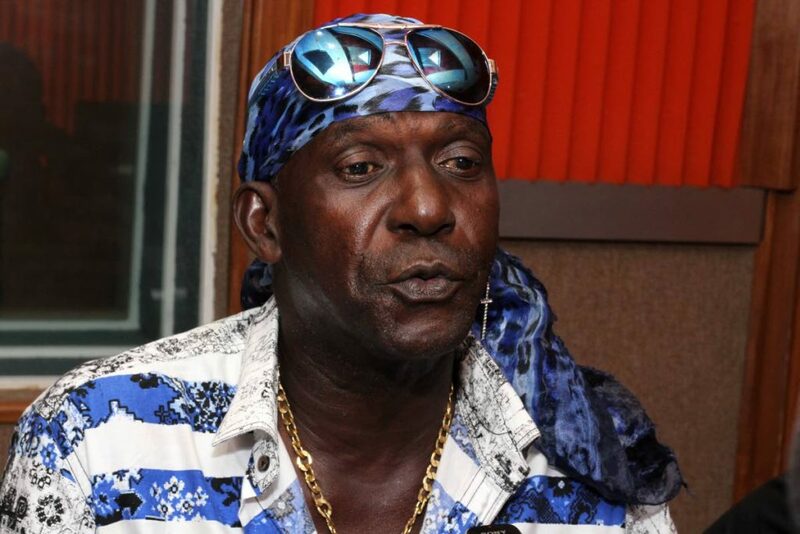 Manwarren recalled SuperBlue “popped up” at his place about two months in a tizzy about the song, and 3canal, which had collaborated with SuperBlue on two previous occasions – Soca Matrix (2000) and Fantastic Friday (the 2013 Road March) – again welcomed the opportunity to work with the singer. Manwarren said 3canal can be regarded as the “driver” of the song. “When we collaborate with Super, he keeps saying we are not backup singers. When we work with him, it is because he needs a certain pulse in the vibes and we are there to provide that and just hold it down. At that point the song still needed refining. “Everybody agreed the song had some vibes but needed some work, because it was very rough at the time, and a couple weeks later, we got a call saying they wanted to track vocals. He said the artform also had no pension, and one had to create one’s own wealth. SuperBlue, who celebrates his 40th anniversary in the business next year, could not say how long he intends to continue. EXECUTIVE PRODUCER: Chinese Laundry Music. Reply to "Spirit of the rag"